The Madagascar group has been active since 2009 in and around the Nosy Hara Marine Park at the Northern tip of the island. Here the impoverished local community often disregards the laws governing the park, whilst the local enforcement agencies lack the resources to stop them. Overharvesting and inappropriate fishing techniques damage the fragile reef ecosystem and impact threatened species like dugong and sea turtles. In 2013 an Environmental Stewardship Agreement was signed between C3, the Madagascar National Parks agency and the local community. The community receives development support, according its own priorities, in exchange for supporting the management of the Marine Park and adhering to its regulations. These include restrictions on harvesting of mangroves, fishing in no-take zones, and use of mosquito nets which also catch juvenile fish. Tusk has supported the training of almost 1,000 Junior Ecoguards from three different communities round the park. 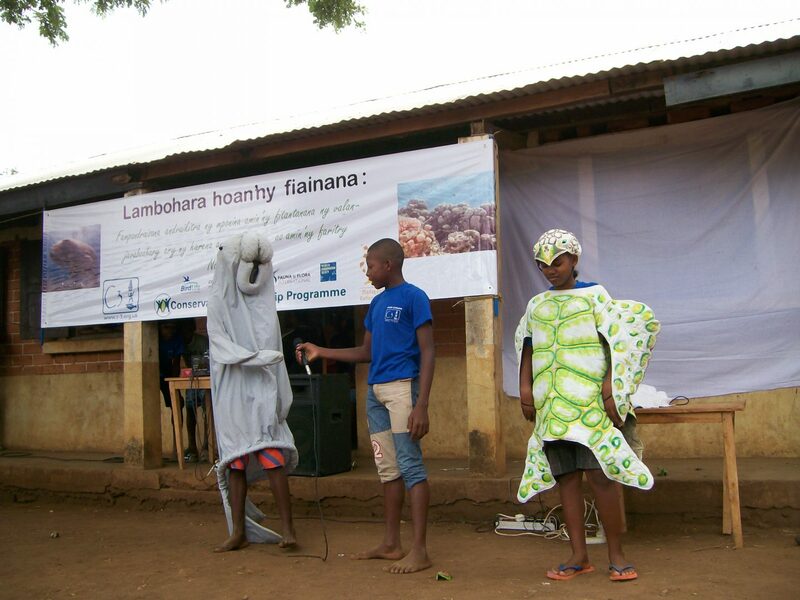 These conservation ambassadors conduct field trips and classroom activities, and even perform songs and sketches on topics like turtle ecology and protection. By targeting young people, C3 spreads conservation messages to wider communities and ensures an awareness of environmental issues among the next generation. C3 plans to expand its activities along the coastline, whilst continuing to support existing community partners. Further funds are needed to realise this vision for the protection of these wildlife-rich waters.